All makeup organization efforts start off with the best of intentions—every pot and compact in its place. But somehow you end up with eye shadows stacked on top of concealers, lip gloss rolling around with eyeliners, and more than a few misplaced pencils. And it’s not because having an organized makeup collection is some kind of impossible feat (though it can feel that way at times). 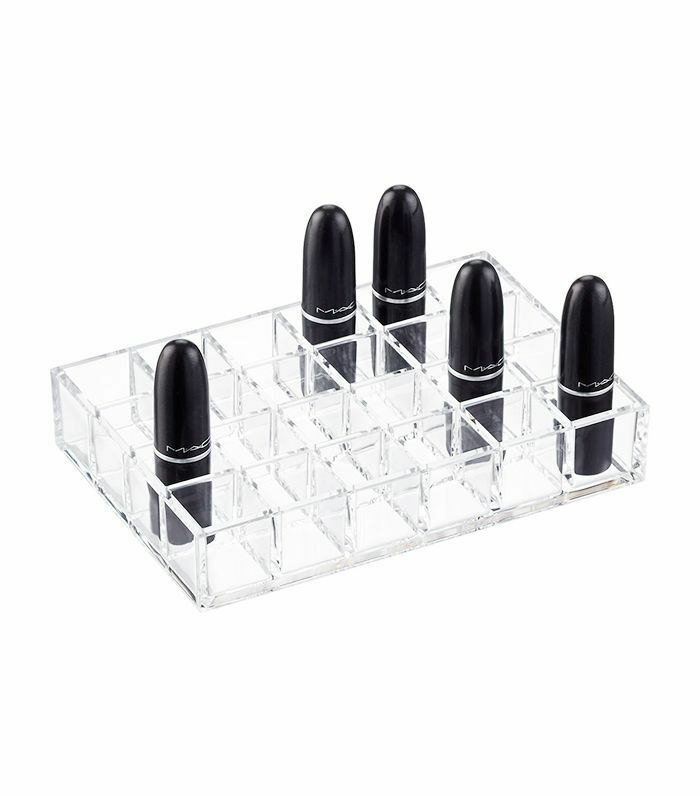 No, more than likely, you just need some makeup organization ideas to keep your cosmetics tidy. If your lipsticks are buried at the bottom of your makeup bag, and you’ve got three makeup bags cluttering your countertop, it’s time for an upgrade. 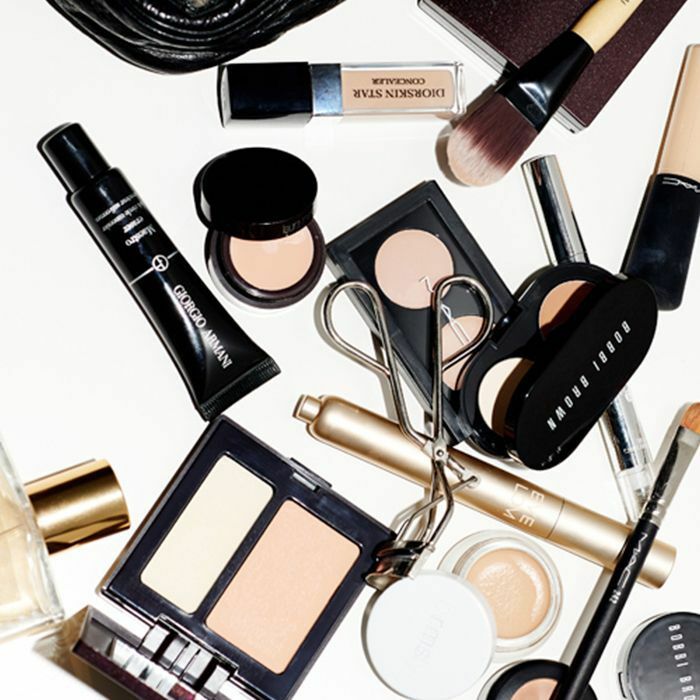 To figure out how best to organize your makeup, we reached out to makeup artists for the practices they use to keep track of their cosmetics. 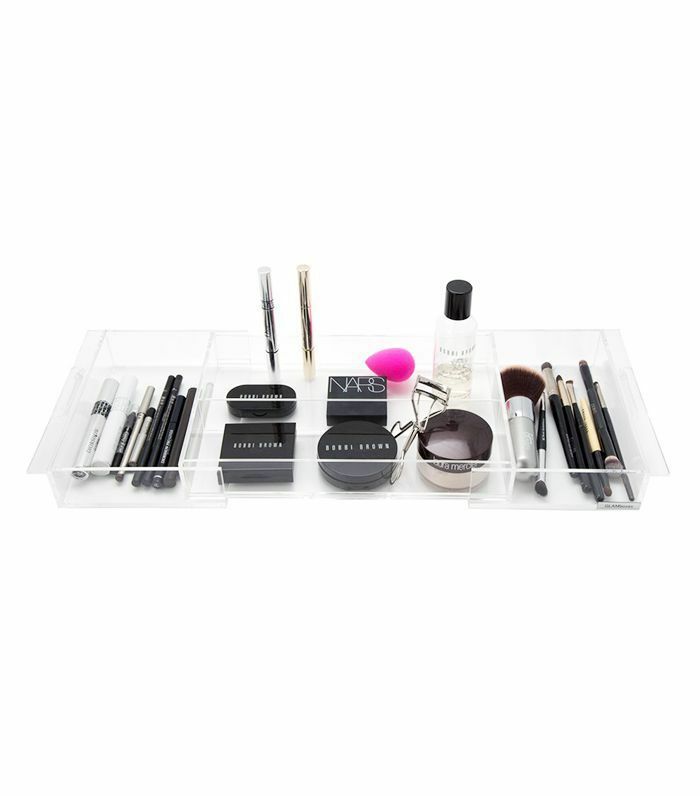 For brilliant makeup organizing tips to tidy up your countertop, keep on reading. Tracking down the one rogue lipstick you want to wear is an unnecessary frustration we’ve all encountered at one point. And it’s also a thing of the past if you organize your cosmetics by type. To keep all your lipsticks together, invest in a lipstick rack like the one above, or if you’re feeling in the mood for a DIY, this cardboard drawer hack proves just as useful. Honey Artists Makeup Artist Min Min Ma recommends putting brushes in an empty candleholder, but not before you clean them. While it can be easy to just throw your brushes in a jar and call it good, Ma recommends cleaning them every six to eight weeks with lukewarm water and a bit of detergent soap. 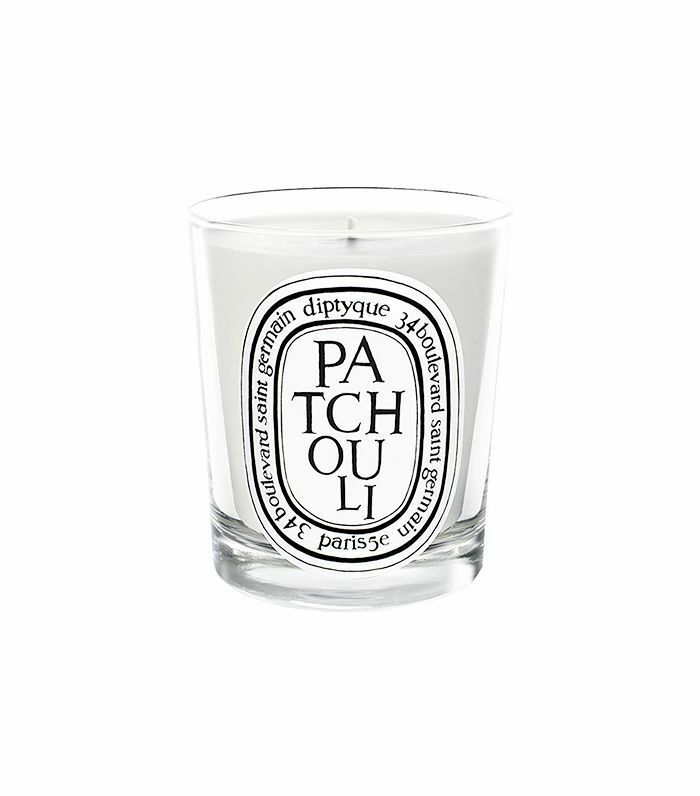 Once dry, gather all your brushes, and place them in your candleholder of choice. Having too many cosmetic bags can be chaotic, but Honey Artists Makeup Artist Suzy Gerstein says a ready-to-go travel bag is quite the opposite. 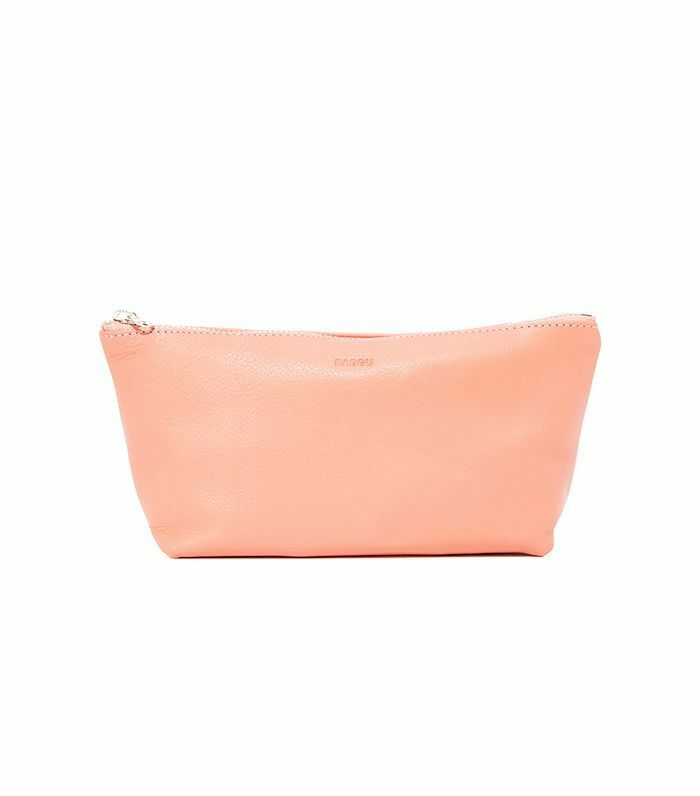 To make an on-the-go bag, throw in your must-have beauty products, aka the ones you use every day. This way, if you have an event after work or a last-minute red-eye to catch, you’ll have all the necessary essentials to take on your day, night, or week away. It’s important to frequently edit your assortment of makeup, says Gerstein, especially if you have limited space. While she doesn’t suggest throwing away a product you haven’t used in awhile (you never know when inspiration might strike), she says to reign in your makeup supply every six months. To do this, Ma recommends checking the expiration dates of your makeup products, as this can help you decide whether or not to save or toss certain items. If you have an ever-growing makeup supply like we do, you are likely short on storage. 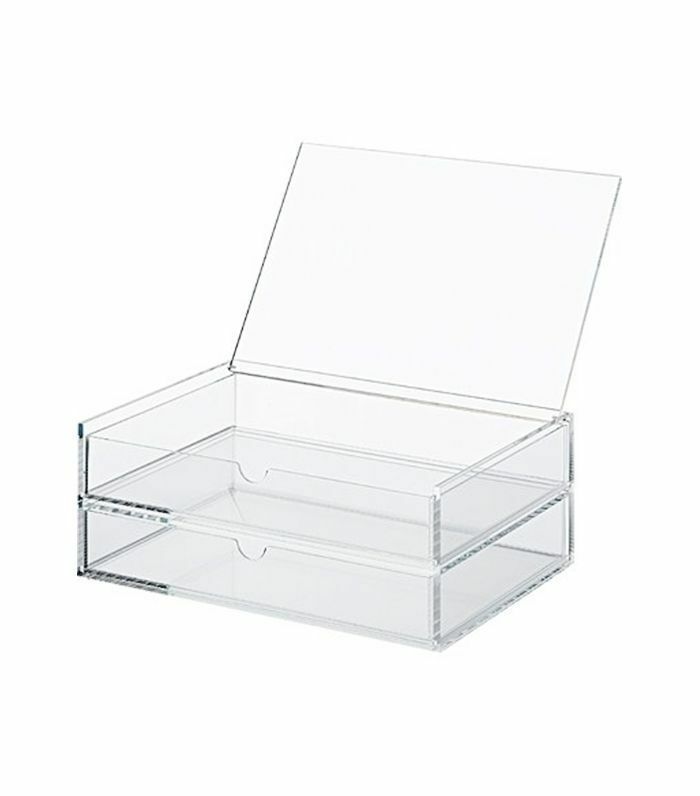 To make use of your space without filling up your cabinets, you might want to invest in a collapsible makeup tray like the one above, which can be stored over your sink as well as inside a drawer. Instead of stowing away cosmetics in unnamed bins and forgetting which one houses your eye shadow and which your lipsticks, Gerstein says to label each bin so that you can go straight to the product without any confusion. 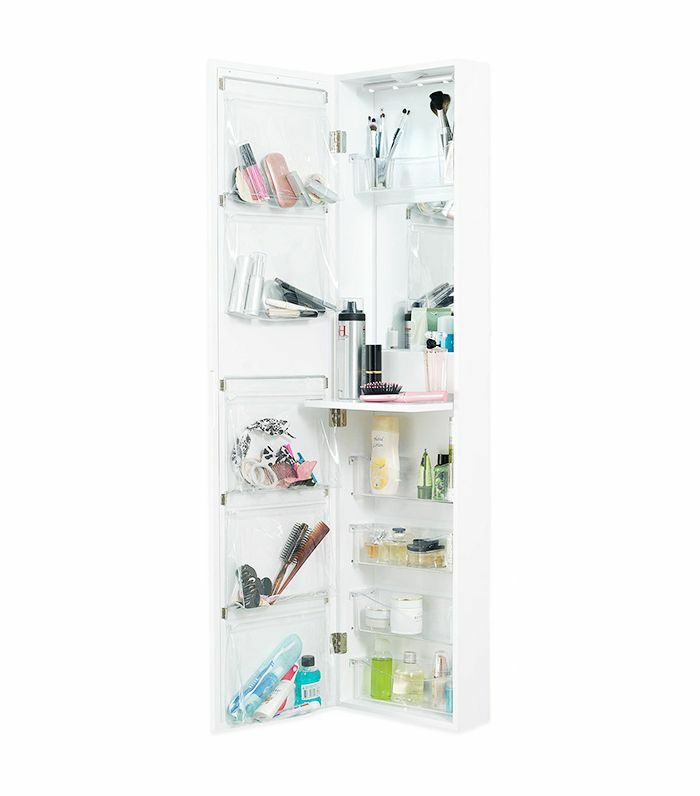 If storage space is at a premium in your apartment, take your makeup collection, and hang it up. Try an over the door shelf like the one above, or invest in hanging jewelry organizers like this Container Store Resort Hanging Organizer ($20), both of which are large enough to house your entire assortment without taking up precious drawer space. Next up: How to Marie Kondo your makeup bag: A practical guide.